Twenty-nine rooms renovated in the cosy spirit of a traditional mountain chalet with just enough of the contemporary to modernize the whole. The new "La Sultane de Saba" spa is an absolute "must" to experience!. The hotel La Tourmaline in the town of Aime is situated at the heart of the most famous ski resorts in the world. Bathed in natural light, the spacious new "La Sultane de Saba" spa, as well as a sauna, a new generation jacuzzi with a view of the mountains, and 2 light and airy treatment cabins, tastefully complement the squash court and the indoor pool. The Tourmaline is the perfect place for incentive travel trips, management meetings, a showroom or a combined work/team-building event. The La Tourmaline team will offer you the perfect package to ensure your event is a great success. 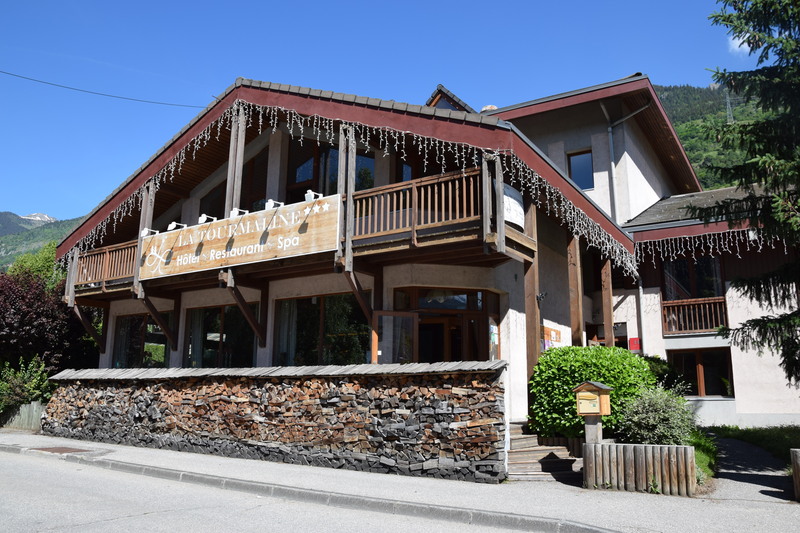 The warm, friendly atmosphere of the hotel and the pure fresh alpine air are great catalysts for enthusiasm and success. Work on compliance with the new standards for access for our disabled guests is underway. Our two new rooms are already ready to welcome you! For special rates for Motocross staging stops, groups, etc. please contact us.